MY GOODNESS! WHAT A PERFECT RANCHER! CONVERTED GARAGE INTO A BEAUTIFUL LIVING SPACE WITH LARGE GLASS DOORS. OPEN THE CURTAINS AND FILL YOUR HOME WITH LIGHT! OR CLOSE THEM FOR THOSE COZY MOVIE NIGHTS IN. STAINLESS STEEL APPLIANCES, GRANITE COUNTER TOPS, AND BEAUTIFUL BACKSPLASH IN THE KITCHEN. GRANITE AND TILING IN THE BATHROOMS, & NEW FLOORING THROUGHOUT. 2 SHEDS IN THE BACKYARD, IDEAL FOR A WORKSHOP! NICE SIZED FENCED IN BACK YARD, AND ON A CORNER LOT! CENTRALLY LOCATED TO BASES, SCHOOLS, SHOPPING, & RESTAURANTS. WHAT COULD BE BETTER? YOU'LL HAVE TO COME & SEE IT TO BELIEVE IT'S TRUE! Ready to visit 3001 Glastonbury? Request a free property tour! Send me more information about the listing at 3001 Glastonbury, Virginia Beach, VA 23453, MLS# 10240205. 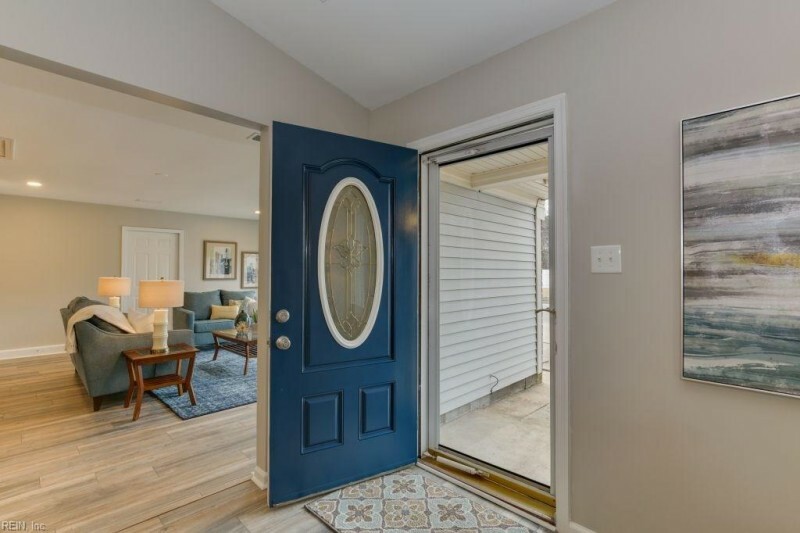 This 3 bedroom, 2 bathroom home located at 3001 Glastonbury, Virginia Beach, VA 23453 has approximately 1,611 square feet. It is currently listed for $279,900 and has a price per sqft of $17,374. This home is currently Sold under the MLS#: 10240205. This listing is provided by Cottage Street Realty LLC. 3001 Glastonbury Drive, Virginia Beach was built in 1984. It has 2 Space, Driveway Spc parking.The kitchen includes Dishwasher, Dryer Hookup, Elec Range, Refrigerator, Washer Hookup. 3001 Glastonbury is part of the Landstown Lakes neighborhood located in 23453.